There's something New Yorkers don't like about the governor's new free tuition scholarship: they're required to live and work in New York after graduating. It's not forever. But those who receive the Excelsior Scholarship will have to remain in state for the same amount of time they received the award. For someone who went to community college, it means they'll have to remain in New York for two years. Those who earned a bachelor's degree will have to stay for four years. There's a big consequence for moving or working out of state. The amount of money you received from the scholarship -- about $25,880 for a bachelor's or $8,700 for an associate's -- will be converted into a loan. You'll have to pay that money back to the state, with interest. The requirement is supposed to build an educated workforce that attracts businesses to New York. "The state with the most educated workforce is the state that is going to succeed long term, from an economic development point of view," Governor Andrew Cuomo said this week at a press event. 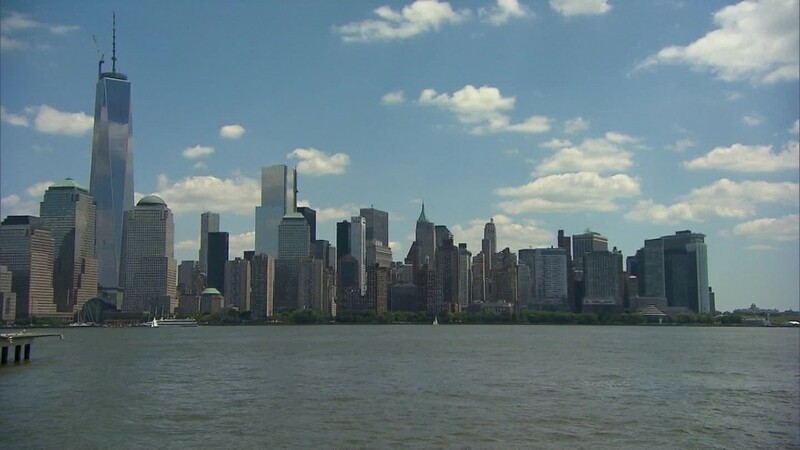 About 84% of State University and City University of New York students already remain in New York after graduation, according to the governor's office. But several parents and students told CNNMoney that they were afraid to accept any money right now because of the restriction and uncertainty around the terms of the loan. Some of the concern, though, may be unfounded. The legislation, which the governor signed on Wednesday, makes an exception for students who want to pursue a higher degree out of state. They can defer their residency and work requirement while they're enrolled at least part time in graduate school. Those who transfer to finish their bachelor's degree elsewhere can also defer the requirement for any years they did receive the scholarship while in state, according to the legislation. But they'll have to return to New York eventually. There will also be an exception for those who join the military, a spokeswoman for the governor said Friday. That provision isn't written into the law, but is expected to be included in the final rules set by the state's Higher Education Services Corporation. The HESC already distributes the TAP grant money to low-income students and will be responsible for setting the interest rate and repayment terms of the loans for those who do end up leaving the state and must pay back the Excelsior Scholarship. The post-grad requirement to live and work in state was added later to the governor's initial proposal. Assemblyman James Skoufis has said he will introduce legislation to repeal the part that requires a grad to work in the state, but supports the residency requirement. "We border five other states, for crying out loud, with countless taxpaying New Yorkers working in places like Northern New Jersey and Connecticut. This destructive provision needs to be quickly repealed," Skoufis said in a statement. Some economists, however, also take issue with the requirements, arguing that limiting a worker's mobility can be detrimental to their ability to find a good paying job. "One of the biggest reasons a college degree has such a big financial return is because it allows you to compete in the national labor market," said Douglas Webber, an assistant professor of economics at Temple University who focuses on the labor market and higher education. The restriction could potentially keep you from earning the highest wage you can in your first job and in the future, he said. The residency requirement is supposed to combat a "brain drain" and attract businesses to the state. But in the long run, Webber said, this could end up backfiring if other states do the same and keep their workers from moving to New York. Not everyone is eligible for the Excelsior Scholarship. Only students whose families earn $125,000 or less, are enrolled full time, and are pursuing an associate's or bachelor's degree for the first time will get the scholarship. Jacob Hanna, a freshman at SUNY Binghamton University, said the scholarship will be a "boon" for him and his family, but is a little concerned about having to work in-state after graduating. "It reduces the pool of work that would be available to me once I graduate, and in an ever competitive job market, that worries me," Hanna said. But ultimately, the economics major is optimistic he'll land a job. "I still believe the benefits outweigh the costs, and hope that this program will spread to other states," Hanna said.